Patrick Coombe / Blog / Journalist Outs Website for Backlinks, Then Links to Them Anyway! If you are interested, I also went on a bit of a tangent about this story on Periscope (video) so check that out. The online magazine (Wingman Magazine) sent them an email pitch saying they wanted to offer them $100 in exchange for a backlink. Ok, kind of shady but not the worst thing I’ve ever heard. The journalist for cracked.com got so angry that he went on a long tangent outing this website, their content, grammar, and their ethics. The post was viewed by tens of thousands of readers, has hundreds of comments and is being shared all over social media. 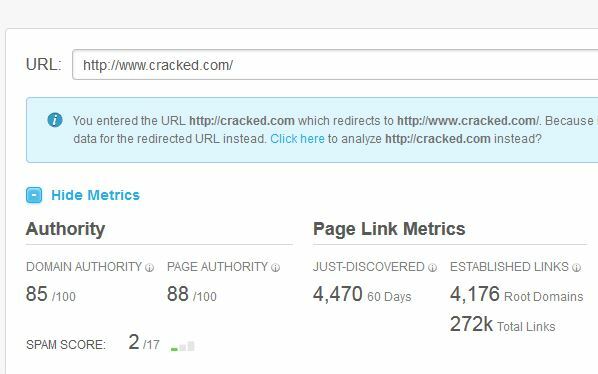 All “Wingman Magazine” ever really wanted was a backlink from cracked.com. What cracked.com failed to realize, in their “outing” of Wingman Magazine, the referenced the website within their post and gave them MULTIPLE big fat backlinks several times within their post. So yep, in the process of this outing they got a nice do-follow link from a DA 85 domain. But not only did they get a do-follow link from a DA85 domain, think of the branding this brought in. This “Wingman Magazine” doesn’t ever claim to be a pillar of ethics. No, in fact they bask in their unethic-ness. I’m sure that this link will bring them a ton of traffic 99,000 views as of 5pm on 9/6/2015 EST not to mention the social shares it will bring. But this really isn’t anything new. People have been outing SEO’s for as long as I can remember. The biggest example was when someone outed Rap Genius on Christmas Eve for backlinks. The New York Times exposed JC Penny for a backlink scheme a few years ago. Before I wrap up let me just say I really don’t like these “wingman” or “get laid” or “bro” type of websites. They are really sleezy, misogynistic, objectify women and even when I was single did not like those types of books or websites. How about the fact that Cracked.com forces content on multiple pages to drive up page views for advertisers? Is that ethical? Google has been zeroing in on these types of public outings, and normally hands out penalties if they do a manual audit. I’m not sure if its ethical or not, its not really my job to judge that, it is Googles. I also don’t really care. On the same token, you are gonna get on your high horse, you better be prepared to get jousted off. The only thing this website wanted was a link. These type of link transactions happen every day on websites from the New York Times to the smallest blogger on the web. Attention: If you are angry about this post just make sure to give me a huge do-follow backlink!